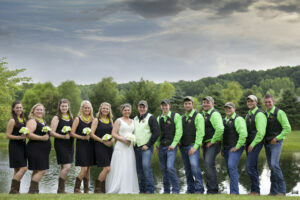 Located just South of Allegan, The Silo is the perfect location to host your big day! Your guests will experience "Elegance in the Country" as they enjoy unsurpassed quality and gracious amenities in a gorgeous rural setting. Our vaulted ceilings and panoramic windows are the perfect backdrop for an exquisite evening of celebration with family and friends. Our Grand Ballroom can provide seating for up to 300 people. However, this ballroom can also be divided into two separate rooms to accommodate smaller groups when necessary. Regardless of size, we would be happy to assist you in customizing the perfect event. We understand that every bride and groom's preferences are different, and every wedding is as unique as your own love story. At The Silo, we do all that we can to bring your vision to life, and make your wedding day as special and stress free as possible! Grand Ballroom and Terrace Ballroom six hour wedding reception rental fee includes all necessary tables, chairs, one layer of linen, linen napkins, china table settings, glassware, silverware, spacious dance floor, use of the balcony, exclusive use of our private bridal suite, free guest parking, servers, bartender(s) and wedding coordinator. Petite wedding receptions are four hours long. 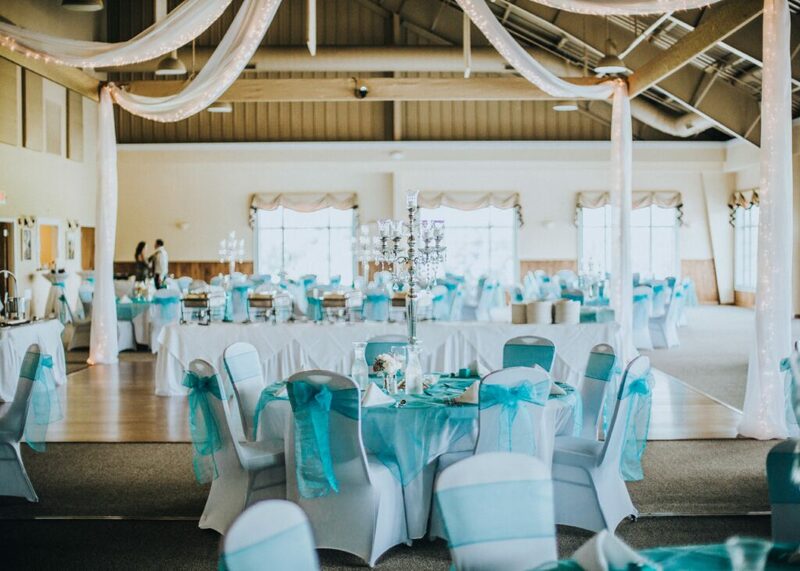 Rental fee includes all necessary tables, chairs, one layer of linen, linen napkins, china table settings, glassware, silverware, free guest parking, server(s), bartender and wedding coordinator. *All room rentals require food service. The Silo provides all food and beverage. Room Rental fees are required to secure desired dates and are non-refundable. Prices are subject to change.